From medical inventions to new systems of care, most strides in modern medicine are centered around the idea of making healthcare more efficient, while also making it more effective. This is a difficult intersection to approach, as efficiency is so often acheived at the expense of efficacy, and vise versa. More and more often patients must make a choice between waiting long periods of time to see a doctor during a too-brief appointment, or compromise the human relationship by seeing a doctor digitally via telemedicine. Enter Heal: an innovative digital health startup that connects patients to licensed primary care doctors in person, without screens or excessive wait times. Currently available in select California metropolitan areas, their 'doctors on demand' business model is based upon the idea that technology should be used to help patients see a doctor when they need it, and where they need it - without limitations. We sat down with Heal Co-Founder and Chief Medical Officer, Dr. Renee Dua, to dive deeper into their story and learn more about how their concept can drive improved patient and community health outcomes. Check out our interview below! What is the story or inspiration behind the creation of Heal? What are some of your driving philosophies? My husband Nick Desai (CEO) and I co-founded Heal after a lengthy trip to the emergency room. Late one night in 2014, our infant son was ill with a severe cold and needed to see a pediatrician right away. We waited nearly eight hours in an emergency room—an agonizing experience that led us to create Heal as a solution. Our confidence in Heal as a business model came not only from this personal experience, but also from national statistics. The average wait time for a primary care doctor appointment exceeds 18 days, and 80% of Americans delay or forgo going to the doctor because of lack of time and work responsibilities. We believe that the return of home visits would help solve these problems. Heal connects patients with fully vetted and licensed pediatricians and family practice doctors who arrive in under two hours and can see any member of the family for only $99 or an in-network copay. Licensed physicians are available from 8AM to 8PM., 365 days a year (including all major holidays) for anything a patient might require during a traditional office visit. What does “innovation” mean to you, and how is this reflected in the corporate culture at Heal? Innovation is solving large gaps in systems, and making the solution easily accessible for people to use. Everyone that works at Heal is on a mission to help transform the U.S. healthcare system. We all know there is a need and what we are doing is radically improving how people receive primary, preventative and urgent care by bringing back the house call doctor. It’s important work! What is the problem to which Heal’s technology provides a solution, and how does solving this problem lead to improvements in our healthcare system? Currently, 45% of a doctor’s time is spent on paperwork and they have to see up to 40 patients a day to break even, which only allows for minimal time with a patient. Instead, with Heal, doctors see about a dozen patients a day. Administrative costs to run an office are >65% of a traditional healthcare system and real estate being 10-20% of their costs as well. 80% of Americans delay seeing a doctor due to lack of time. Since Heal launched 2 years ago, the company has driven $4.2M in healthcare cost savings, reduced ER overusage by >62% and cut operating costs by >65% by using innovation. How does Heal connect patients doctors better than traditional telemedicine? Why is this important to improving patient health outcomes and the health system as a whole? Traditional telemedicine is over video. Heal physically sees patients in their homes, offices or wherever they are. 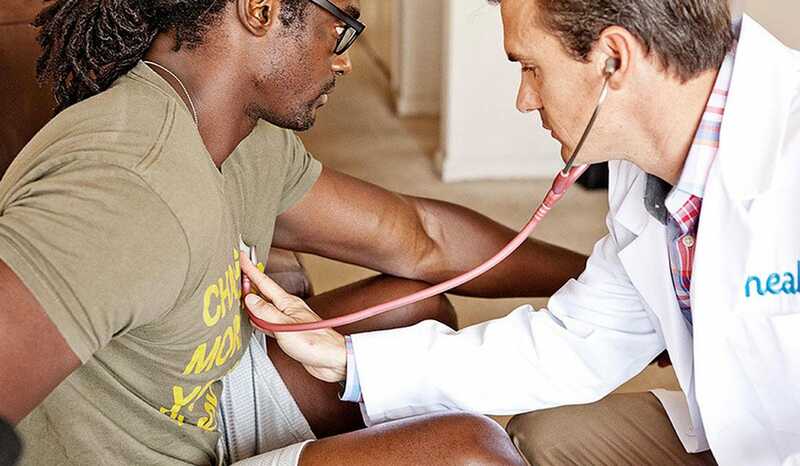 Heal is aiming to become people primary care doctors. The main difference here is that doctors can really develop a personal relationship with their patients and are able to assess environmental factors in their homes that may affect their health. They can see what someone eats, if they smoke, if they have mold in their homes, etc. Where and how do you recruit your doctors? Heal recruits from the same pool of doctors that would either go into practice for themselves or join with an existing medical facility or HMO. They are all board-certified. What role does Heal play in preventative medicine? Heal plays an important role in preventative care. We make preventative and primary care so easy and convenient. A good time for anyone to use Heal is when they are well. Anyone can have a physical, a check up or a family health assessment. What anecdotal evidence have you received from both patients and doctors who utilize Heal? Some of the best feedback that we’ve heard from our doctors is how Heal is allowing them to enjoy practicing medicine again. They aren’t stuck in an office with mounds of paperwork and shuffling through patients every 15 minutes. Also, saving lives! Each week, we receive emails from patients thanking us for how our doctors caught life-threatening issues. What do you envision for the future of Heal as you continue to grow and evolve? Heal’s mission is to make a more efficient doctor’s office and is helping to fix some of the inefficiencies in healthcare today. Our vision is to continue expanding until all patients across the country have better access to healthcare through our platform. We also hope to become people’s primary care doctor. Visit the Heal website here.